Alcohol is a fine motor fuel, it works in cars and race cars as well. A few adjustments to mixture and it works like gasoline. Oxygen can keep your boiler clean and hot.. So I`m making some moon shine and lit some up, it was completely blue. I am thinking of switching from gasoline to alcohol. Any ideas? I believe the movie you saw featured my first burner design before making the modifications to allow more air to be pulled in. In the second video, the flame is almost an invisible blue and noticeably hotter, with just a small amount of orange flame at the tips. Here is the link to the second video...it’s the burner I still use today and works extremely well with gasoline. Will your burner work? Sure....it’s still fire and very hot...but just as Pat (SSsssteamer) mentioned, the soot build up would coat your tubes and work like an insulator, preventing a proper heat exchange and hurting your steam generator performance in a relatively short period of time. 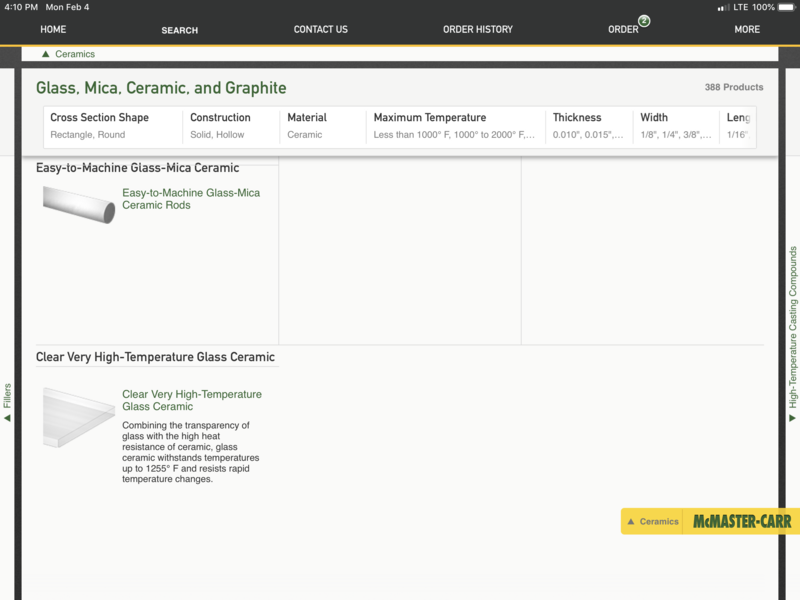 The bottom line is: Build it....test it....see for yourself. Perhaps it will work just fine for your system. 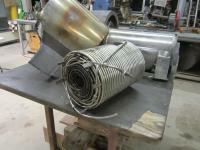 Your stainless steel Doble type coil stack looks great...make sure your burner will do it justice. > So what about alcohol as a fuel? Making steam is all about having enough BTUs per gallon of fuel. Use the fuel with the most BTUs and you will get your best performance. Alcohol hardly has enough heat to boil water, let alone power a steam car down the road. Propane is another one that is short of having enough BTUs. Gasoline or even better yet, kerosene, will give you the most heat for your best performance. Diesel is readily available along the road and it has good energy per gallon too. Diesel just is not quite clean enough for most fuel vaporizers, but it will work well with the Doble fuel atomizer. Did the Doble heat the gasoline after the carburetor? Did the Doble carbon up? Ethanol has 30% less energy than gasoline, so use 3o% more ethanol. That is what they do in cars running pure ethanol. Quote: "Did the Doble heat the gasoline after the carburetor? Did the Doble carbon up?" I'm not really familiar with that system as those cars are a little over my hobby budget, but a whole bunch of us are familiar with other systems that work on the same principle - mixing gasoline, diesel etc fuel and air together for combustion, and yellow fire is incomplete combustion with fumes, and carbon collecting on the boiler surfaces. One inch of carbon is equal to like 3 feet of fiberglass insulation. My guess is the Doble plant has these issues. Quote "My guess is the Doble plant has these issues." I made a carb setup like Abner did and didn`t like it. 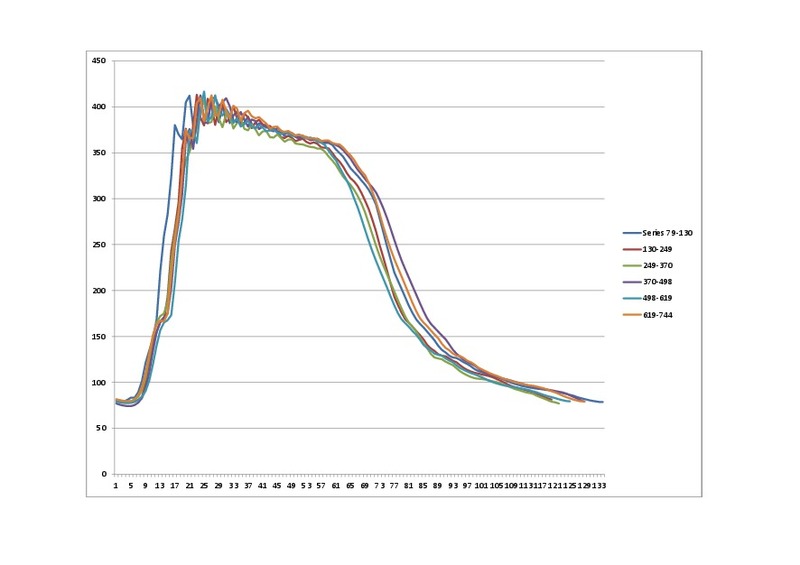 What was good about it is the air fuel ratio mix stays about the same at different air flow rates. The automation was very poor. I could run a lap or two of tubing inside the burner section. Run gasoline through it to vaporize it than route it back to the air inlet.to be ignited.This could be easily done. I like that. Starting could be a problem the (cold) hot loop would be full of gas and dribble out the end before any heat occurs. When it did heat up likely there would be a surge of gas into the burner. 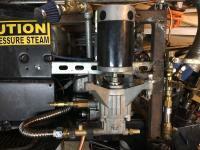 Lot's of folks use the Becket atomizing type gun burners for kerosene to fire a boiler. It works great, but there are fumes from incomplete combustion and soot. The part that is missing from the oil furnaces those are used in, is the back plate in the combustion chamber that gets red hot and vaporizes the fuel, this is "post-mix" vaporization. Atomized fuel introduced directly in to the combustion chamber will not burn cleanly, for a clean burn (highest heat) it must be gaseous form - vaporized. That is why I mentioned suspending a stainless sleeve inside your mixing tube that can heat up and vaporize the fuel. However, I don't think you have near enough heat for what you're wanting to do. I really think about 8 of the burner heads that Jamison is showing arranged in a circular orientation and angled inward, think helix, would do it. A propane pilot manifold in the shape of a toroid (360° loop of pipe) under the heads with jets below each vaporizer would handle preheat and re-ignition. Have you considered a blower on your burner for more output. So you control the fuel at 80psi with a needle valve,is that true?. That seems real simple,I like that a lot. Ok so I am going to put a vaporizer coil or two in my burner. I hope I get the result you do. So how many coils of 1/4" ss tube do I need. Once around inside my burner is about 3 ft twice around would be 6 ft that would be exposed to flame. By the looks of your burner it seams more is better. How do you get your burner started, warmed up etc. It looks like when it is cold and you turn on the fuel it would fill your coils with gasoline and dribble out the end. And when it starts to heat up isn`t it going to want to empty your tubing of gasoline causing a bit of a flair up? I see warmed up it works fine except there is still a little red flame when you shut it off. After reading your thread, I think you're quite a creative guy! Two things I think are remarkable to mention, one is the 500 inches of generating coil and the other is the use of alcohol. Tom Kimmel has built or should I say wound many mono-tube boilers. One of his most recent builds/winds was for a steam speed record on a motorcycle. What Tom has done is to have increasing diameter tubing through the generating cycle, i.e. he may start with 15' of 1/4" SS tubing, then 15' of 3/8" and 10' of 1/2" SS tubing. I used the example relative to the length of your boiler tube. Reason is that water expands over 10 times its volume before converting to steam. This causes large Back Pressure (BP). So much BP that one needs an enormous amount of pump horsepower to feed the boiler. So much that it takes away from the output of the steam engine trying to get you where you want to go. Don, just something to consider when building a mono-tube boiler. Hope this helps. I think ethanol or alcohol in general is a good, renewable fuel to use. It is an oxygenated fuel and would help to prevent the build up of suit. 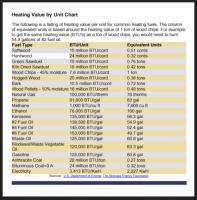 Regarding the amount of BTU or energy content, you need to burn more fuel to get the energy to get the steam. An example of this would be to use a larger orifice in the jet of a pressure burner like Jamison's burner used to burn gasoline. I think the larger nozzle would be applicable to the Doble style burner also. I think you can figure out the fuel injection method you seam to have figured out and probably is an easier conversion. Perhaps you had intentions for this all along. Most of the good folks in this forum have significant experience with Steam Automobiles. However, there hasn't been much use of alcohol fuel in their history. Please try the alcohol fuel and keep us posted? That`s 500 feet of tubing not inches. My fuel injection system is very adjustable, the turn of a nob can take care of the 30% more fuel required for alcohol. I would like to see how Tom Kimmel winds his tubing. My burner vaporizer uses 6’ of 3/16” diameter 316 stainless steel tubing that is coiled loosely inside the 3” mixing tube. 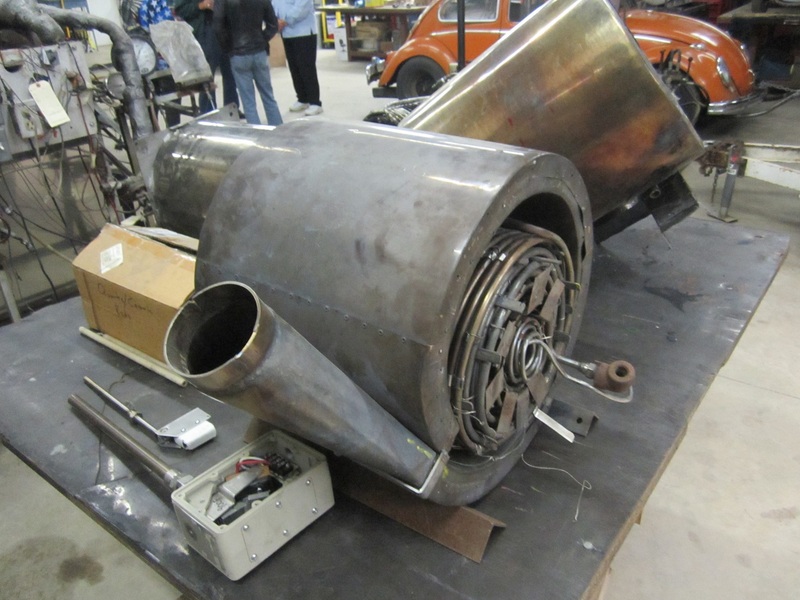 It is based on Ron’s “shotgun burner” and the burner / vaporizer setups the British model hydroplane guys use. 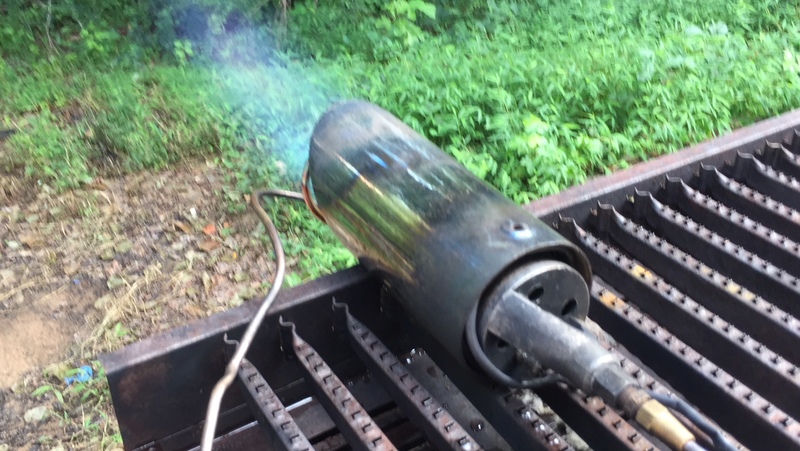 The burner nozzle is a Harbor Freight propane “weed burner” torch (the one with the piezo ignitor) that has the venturi reamed out to 1/2’ ID. The original mixing tube is removed and the new 3” diameter tube (with the vaporizer coiled inside) is installed at a calibrated distance from the nozzle. That’s it. For startup at cold, It takes about 5 seconds of preheating with a blowtorch, then I turn the gas on slowly....then adjust the needle valve until the burner stops oscillating. It is a very loud burner and sounds like a rocket when fired. 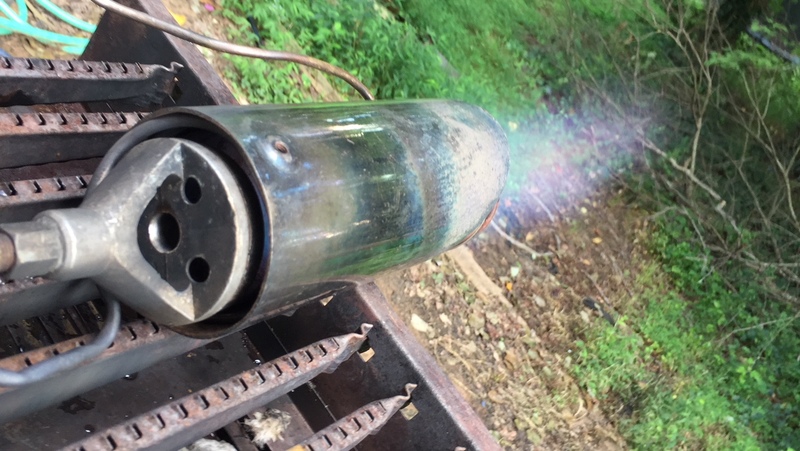 I have experimented with adding a blower to the burner...but it kept blowing out the torch. Honestly, I don’t think it needs it. With the 80 - 90 psi behind it, It draws in plenty of air and burns very cleanly with a light blue flame. If you plan on experimenting with alcohol using this burner....keep in mind that the nozzle orifice, mixing tube size and venturi id will probably have to be tweaked to match the fuel type. Thanks for the correction regarding feet instead of inches. I must say you have a good talent to wind mono-tubes. Please don't get discouraged with my comments or anyone elses, ment to be helpful, constructive and based on experience. Can you revele the diameter (outside and wall thickness) of this 500 ft of SS tubing? Also, is there a calculation or reason based on onother design for 500 ft of this diameter tubing? If willing, please explain the intended flow of the hot gasses i.e. radially inward and out the center or opposite? Note in my book there are no problems, only challenges. Here is your challenge, w/500 ft of tubing and a feed pressure of 700 psi before firing, not sure how good the resultant output you'll get given the horsepower required to feed the boiler with water. Thinking your probably shooting for 700 - 1,000 psi to run your engine/turbine...not sure what you're intentions are? I would recommend a 700 square boiler. In other words, shoot for steam output of 700 psi at 700 deg. F.
I did search my files for a picture of Tom's boiler without any luck. I can recreate a diagram to show the concept, I'll do that tonight. Also, I'll include a picture of my Ofeldt intended to run my Gentleman Speedy Roadster along with the details of length of tubing. This is intended to be a 400 square, natural circulating design. I'll ask Ron to resite the ratio for length of tubing regarding a Fire Tube, Water Tube and Mono-tube(it could be surface area and may be corrected)? Note that he has a very successful Ofeldt which would be considered a water tube boiler. Also note that Jamison's burner is very powerful. It is one of the best outputting burners I've seen. You, like him, introduce the burner flame in a radially inword spiral, I think this is a good concept. I drilled a couple of holes in my burner and put 6' of 1/4" SS tubing in one hole , twice around the inside out the other hole and than to the intake. This I hope will provide enough gasification / pyerollis A little spelling problem of mine, sorry. So the heat brakes down the molecules. I started my tubing stack with 100 ft of 1/4", .049" wall 304 SS. Than 400 ft of 3/8", .049" wall, than about 40' of 1/2", .035" wall. I wanted to use more 1/2" but I couldn`t get them to seal. I forgot to mention, the current plan is now set up for two different fuel systems. One fuel system is electronic fuel injection as tested. and the other like Jamison`s. Except I think I will set it up with a fuel pump to a fuel pressure regulator to a needle valve to the heating coil to the intake. Home from work, not a lot of time to research and respond on this thread at lunch time. Tom Kimmel has always provided an excellent resource for steam. 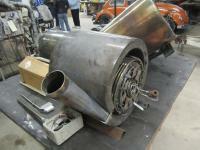 He has made some pretty neat stuff such as steam cars, buggies and in particular, boiler windings (coils and such). Here are some links to his site that I would think is of interest to you. Note that he wound the boiler in Chuk Williams speed car that set the piston powered steam speed record. 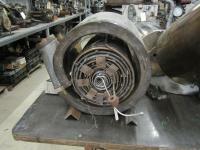 He has wound many coils for Ofeldt boilers. While attending the 2013 SACA Meet, I took the following pictures. In a later SACA Meet, I actually lifted and could hold this boiler without significant strain. This is another key element to a good boiler. Your tube arraignment is very Doble-esque and should perform well. I think your 3/8” and 1/2” tubing lengths are spot on. My only concern is your .049” wall, 1/4” tubing section. It may be too restrictive. I bought the 316 stainless version of the same wall size 1/4” tubing for use as a vaporizer. The i.d. of that tubing is only .201”...just a tad larger than 3/16” (.1875). Your pump would be crying for mercy trying to push through 100’ of that. In my opinion...you might be better off with a .028 wall 1/4” for that length....it can handle over 2,000 psi no problem. On the other hand, with the right pump it could work great. I made a boiler once that had 100’ of 3/16” copper tubing in the back, 50’ of .022 wall 1/4” stainless in the middle and 50’ of 3/8” stainless in the front. I was using a 120vac electric 1500 psi pressure washer as a feed pump. That thing was a monster and performed extremely well...but the 20amps @ 120 volt current needed to run the pump made it impractical for mobile use....unless I used a really long extension cord . I bought a small pressure washer pump head (made to be powered by a gas engine) from Amazon and coupled it to a 3 hp, 24vdc electric motor. It worked....but sucked so much juice out of the two 12v batteries that it might have been more efficient to just connect the motor directly to the rear wheels and be done with it. 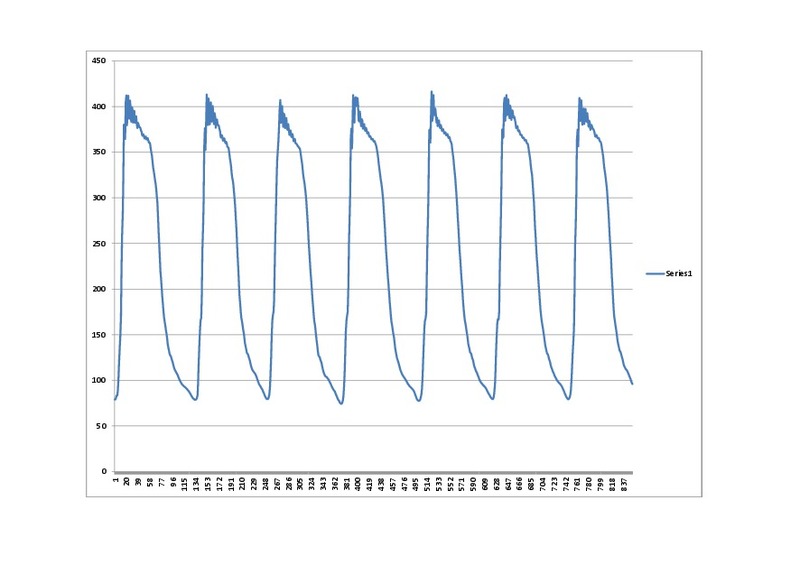 The heat exchange and velocity in tubing i.d. that small is incredible....it is very flashy and responsive, but at a high price of needing some serious power to push the water through it. But just as Rick H pointed out...opinions are like you-know-what and I recommend you go with your instincts, build it and test it. I’m just relating my own experience with similar i.d. and length tubing for steam generation. What is the piston powered land steam record? 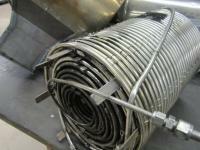 What are the advantages of flow from inside the coil pack to the outside? less heat loss?, not as many connectors needed? I too am using a small 1200PSI 1800w pressure washer that pumps 1.2 gal / min. through the tubing. Is that enough water? 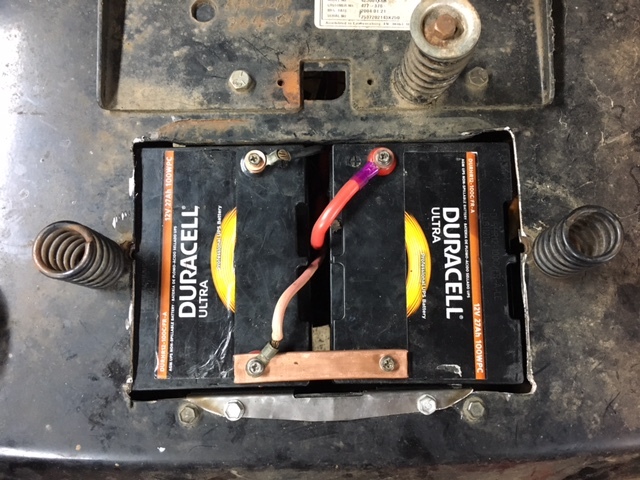 Can you use a 12v to 110v inverter to run the 1800w pressure washer? I was thinking of making the 24v motor/pump setup like you made. It could be effective for the LSR. He crafted a beautiful looking stream - "Steam Liner" that was powered by a piston engine from Art Gardner and Boiler wound by Tom Kimmel. Most of the steam speed records (cars) are with Steam Turbines. Chuk's car is a steam piston powered streamliner. As for the steam motorcycle boiler, the flow is from outside the coil pack inward. My opinion (everyone has one) is that the space between tubes is greater for air flow in the outer radius of the coil pack. As hot gas flows inward, as the space becomes restricted, flow will increase in velocity. A noteworthy experience I had with my steam scooter is that when you increase the flow of hot gasses over/through the boiler, performance is greatly improved. This is why I have a steam blower on my scooter. 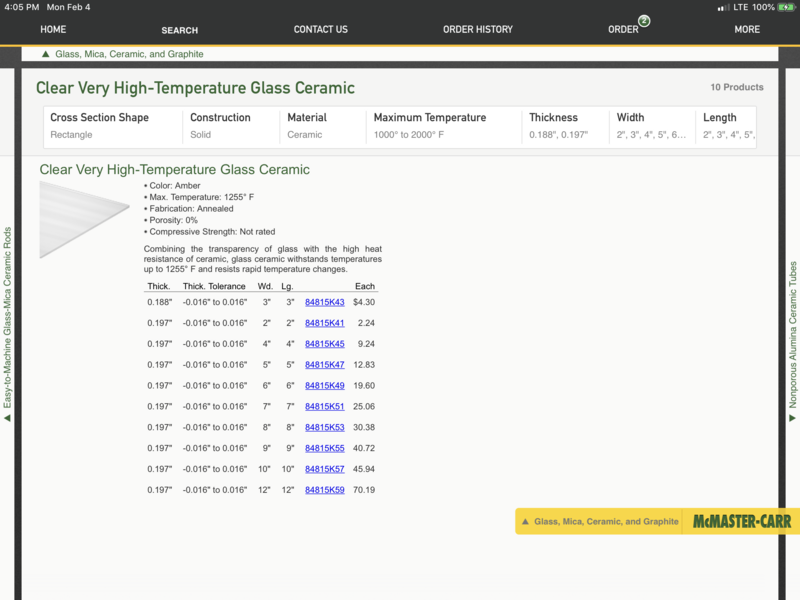 As far as connections go, the design should use joints outside or away from the greatest heat source. This can be the same situation whether inflow or outward flow in a coil pack. > from outside the coil pack inward. My boiler had more diameter (23 inches) than length (8 inches) as that fitted into the project more easily and would have been fitted with the centre line across the chassis of the car and the disc shaped boiler standing like a wheel under the hood of the car. The burner was to be tangential firing with the burner at the bottom and the exhaust out one side of the centre of the drum. Alas I never got time to build it although the thinking and sums were all finished. My idea was to fit it, along with a 1911 Stanley 10hp engine, into a small 1920's car which my son owns. Would have been fun and the freedom of design attracted me after having worked for much time to retain the authentic period design of the Stanley I owned. Sadly the rules and regulation of car registration have pretty much killed off such flights of fancy if it is intended for use on the road. Another comment on flow from outside to inside on the coil pack. BTW I like the terminology to call it a coil pack. 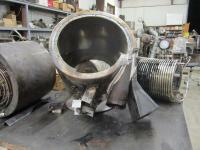 I have to digress first, lately I have been very interested in tube boilers including monotubes. Tom has built 4 or 5 of these motorcycle type monotube boilers. 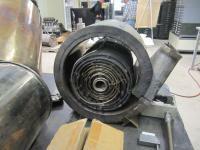 Some of the observations made are that the arrangement of the coils in pancakes or spring coil form is important. The other thing is that the location of the tube where steam starts superheating is important also. I'll mention Jamison, he has experimented and I have observed his coil winding methods and arrangements along with the firing of such. One concept I'm hoping to pursue is a hybrid tube-monotube where several coils perform natural circulation and serial tubes perform once-through (monotube) steam generation. 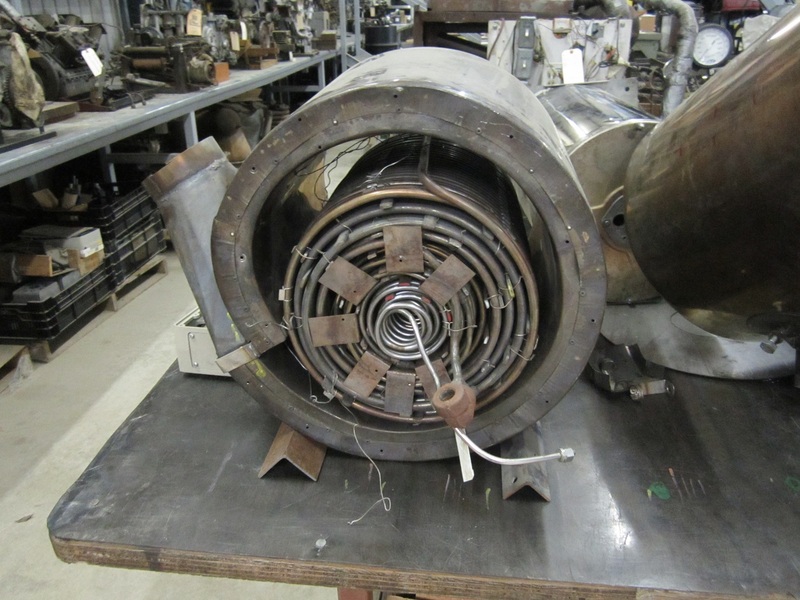 Sorry, more digression, that I visited another steam buddy and he is considering more of a once through with a inductor type of circulation method much like the French Design featered in several Bulletins. This guy has significant experience with monotubes and the control of it. Reason for this consideration is two challenges with monotube, feed water control and feed water pressure. Regarding control, the way to control is a ballancing valve that by-passes to maintain a constant pressure input. However, this is not always an elegant performer in all driving conditions. Hard to beat the pressure storage in a drum to provide that swift acceleration. Just a thought, combine a drum with the monotube. Then, the feed water pressure is always a concern because even with progressive tube diameter sizes, still alot of pump HP required to input the water in operation. Hence, unless you have a long extension cord, carrying all the battery power required to run the feed pumps is omnis. 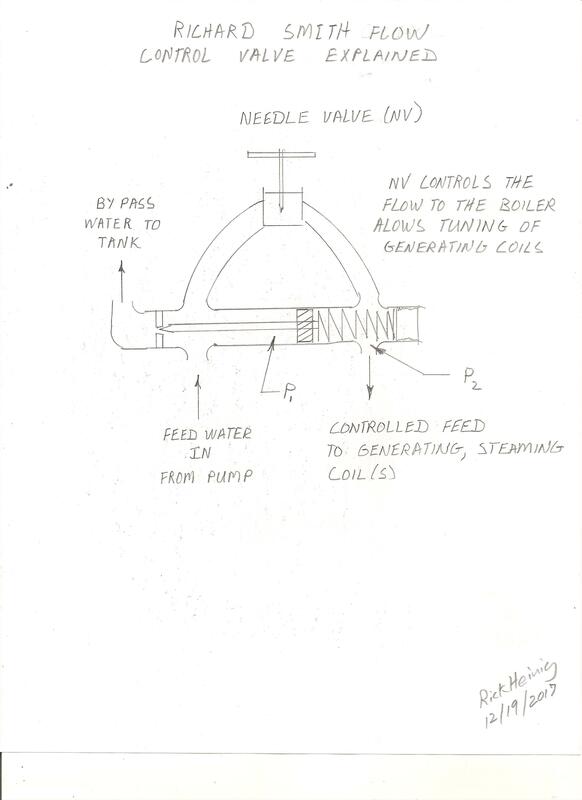 I'll post a sketch of the Richard Smith flow control valve when I get home tonight. I would like to see you test/post the changes and system? Even if you just hook a garden hose to the coil pack, fire the burner and let the steam escape out the end of the tube...this will tell you alot. OK, back to the comment about flow inward. I don't care how many ideas you have to make stuff run better or perform better or even with the ultimate efficiency. If you cannot fabricate, make or weld it, it really doesn't do anyone any good. I've coiled a few coils in my day and found it challenging and even thinking about coiling spiral wire inside the tube before the coiling process. So with the innate ability to coil smaller diameter tubing in a tighter more compact coil and progressively larger tubing diameters in larger coils, it makes sense to have the inward flow of gasses. To counter act the high feed water pressure, making the flow path, increase the cross section as it goes. 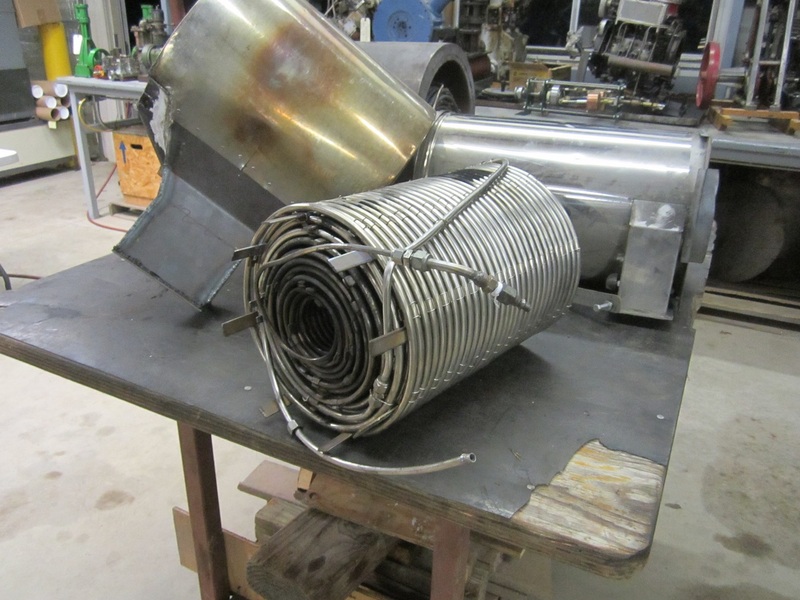 To use common boiler terminology of starting with an economizer coil as the inner most coil, generating tube as the middle and superheat as the outer, In your case, this would be 1/4" to 3/8" to 1/2" respectfully. Sorry again, one caveot is to run a tube/coil full of water up against the first impinging hot gases. This in a nut shell is the favored design strategy to a monotube boiler. I think the Smith valve is essentially a Doble Compensator valve under a different name. 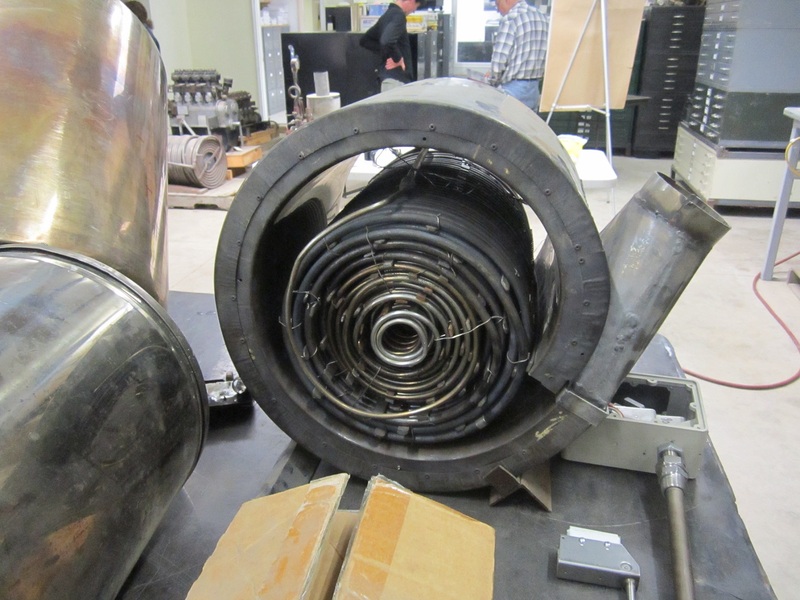 Basically it's derived from the Edward C. Newcomb flowmotor design. See US Patent 1,804,751. I should note that the compensator valve is used in specific circumstances....for instance, it would be less than worthless installed in a Stanley or a White. The compensator is used for ON-OFF control systems where the burner has a constant output. It is more likely employed when the feed water pumps are engine driven. Obviously, the feed water flow rate and the combustion rate should be linked. 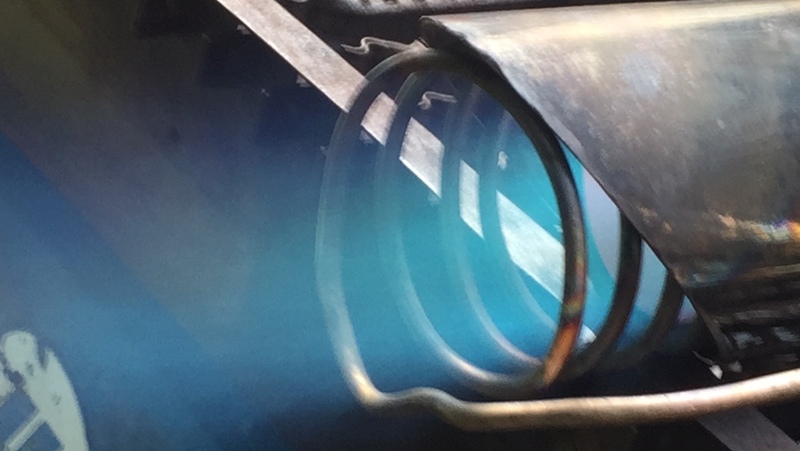 If the burner operates at a constant rate, such as from an electrically driven blower or a vaporizing burner working from a constant nozzle pressure head, then the feed water flow should also be constant. If the feed water pump is engine driven, the flow will vary directly with engine speed. The compensator delivers a constant water flow rate, keeping feed and combustion in tune (more or less). So, it's not a universal device, it is used in certain types of control schemes. Your right....it’s essentially the same thing. We should be referring to it as a “Doble compensator” instead of a “Smith flow controller” from now on. I remember describing it as a Smith designed device in my last article in the bulletin....perhaps I will put a correction in the next one. Smith’s version was just a modern example using hardware store fittings / valves. Do you think Smith just flat out copied Doble / Newcomb or is it possible he came up with the same basic concept independently? Back in the 60’s when Smith was building these devices, there was no internet and patent information was not very accessible. Smith was a clever guy and the flow controller is not a very complicated device...just a thought. I assume it was a copy. SACA publications from the period either show Stanley or Doble style systems. In the 60s there were a number of members who remembered Doble cars and a few had even worked with Doble. It was things like Lamont and Ofeldt boilers that received little attention.